This week, Adam and I talk about how people have caught Affluenza, about consumption and the pursuit of happiness. On Monday, Kim got a bit camera happy, so I thought I would share a few nice photos of what we have been up to around the garden and about town. Firstly, the flowers currently in my garden. 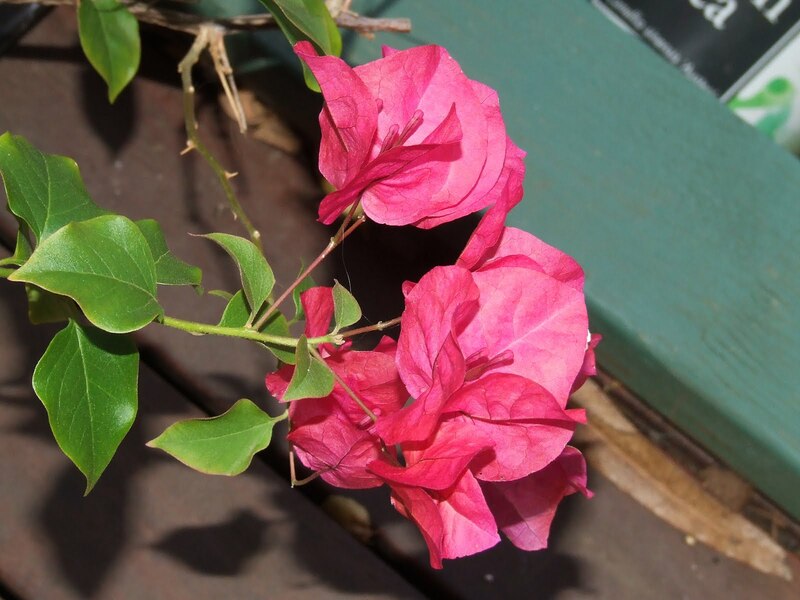 Our pink bougianvillea that we growing in a pot. After it flowers, it needs a good trim to keep it in shape. 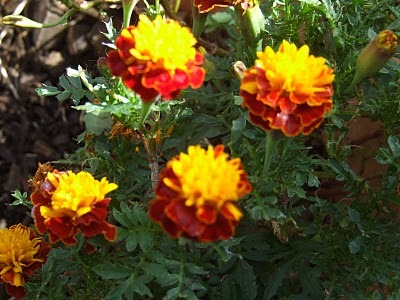 My lovely marigolds which is one of my favourite flowers. 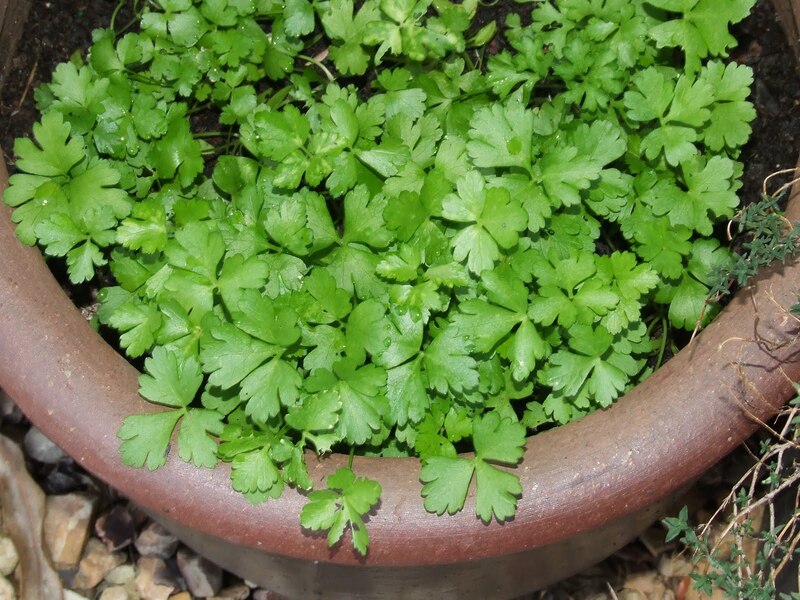 This variety has been self seeding in the same pot for three years running and is now sprouting seedlings for a fourth season. A sprinkle of blood and bone each spring, and they go crazy and bloom for most of the year. Kim’s favourite flower, the cyclamen. 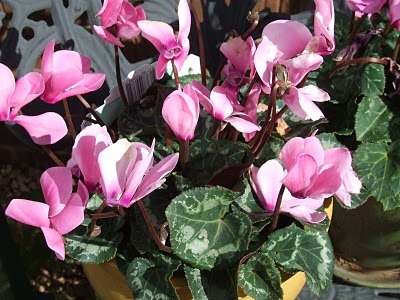 I usually buy a few each year, but have managed to keep the flowers I bought her from three years running alive and they bloom again each autumn. A little TLC and organic fertilizer, and they keep coming back time and time again. 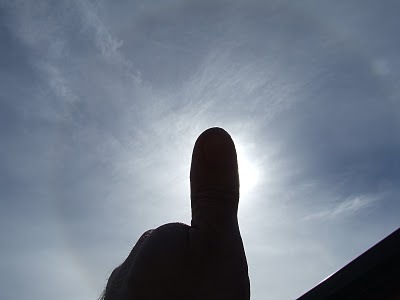 Then as I was preparing a bed for broad beans, we notice an ice ring around the Sun. I knew what it was, but Kim and Ben had never seen one before. It is the sunlight reflecting off of ice crystals in very high Cirrus clouds. It is called an Atmospheric Halo. Pretty cool and I gave it a big thumbs up! 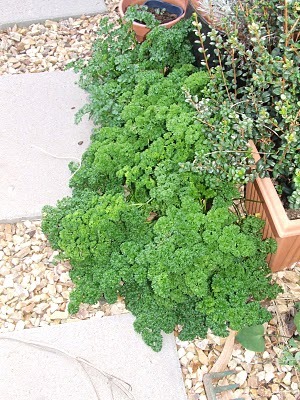 Here is my self seeded curly parsley. I had a two year old plant in a pot that went to seed and these ones just grew in the stones without any water. I think they receive overflow from the pots around them. Closely followed by the flat leafed parsley that I planted from seed. It has really come on well in the last month. 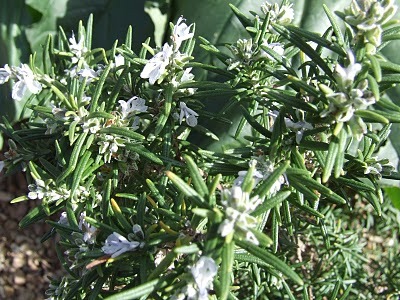 The rosemary is in flower and the bees love it. 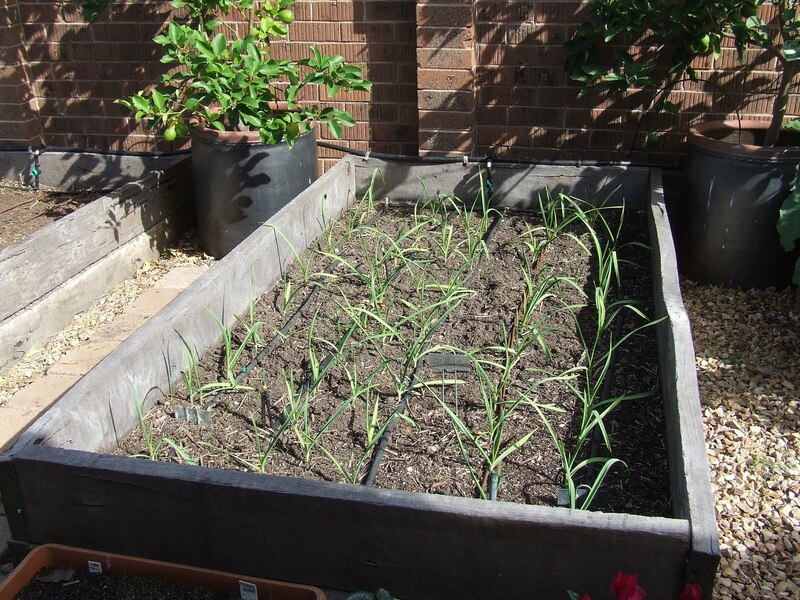 After just one month, the garlic is growing like wildfire. I am very impressed with this years crop so far, however the proof will be in the pulling in late November. Now for the beans. 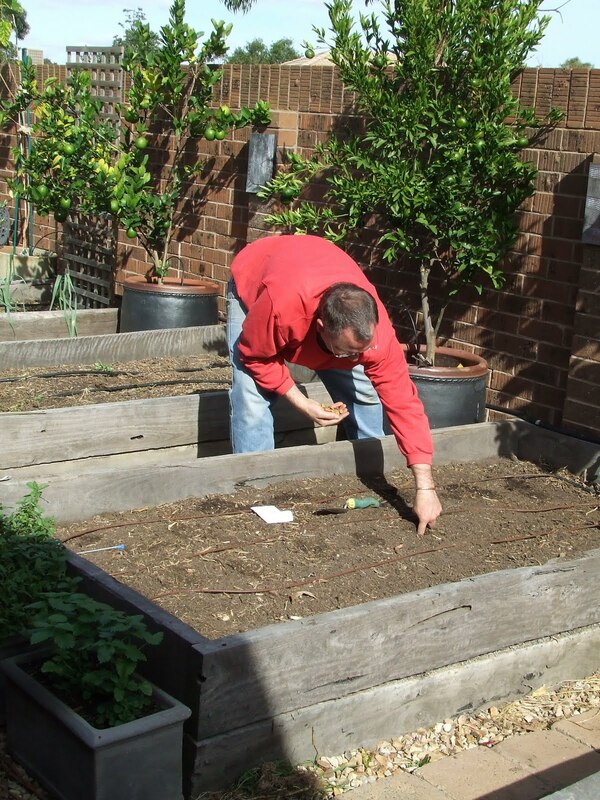 I planted two varieties of broad (fava) beans in the same bed. Aquadulce and Early Long pod. I have had success with both varieties, with the Auqadulce being a slightly sweeter bean. 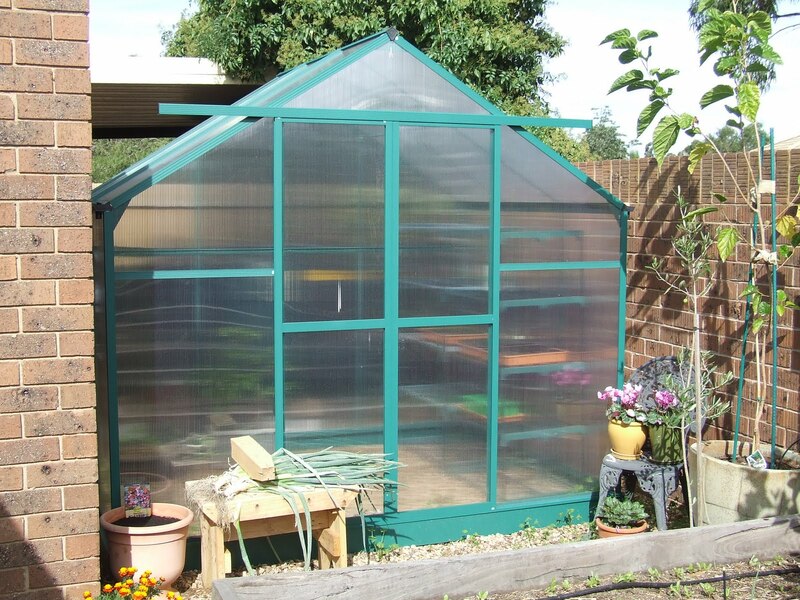 The greenhouse still stands and is filling up. Notice the massive spring onions on the stool. 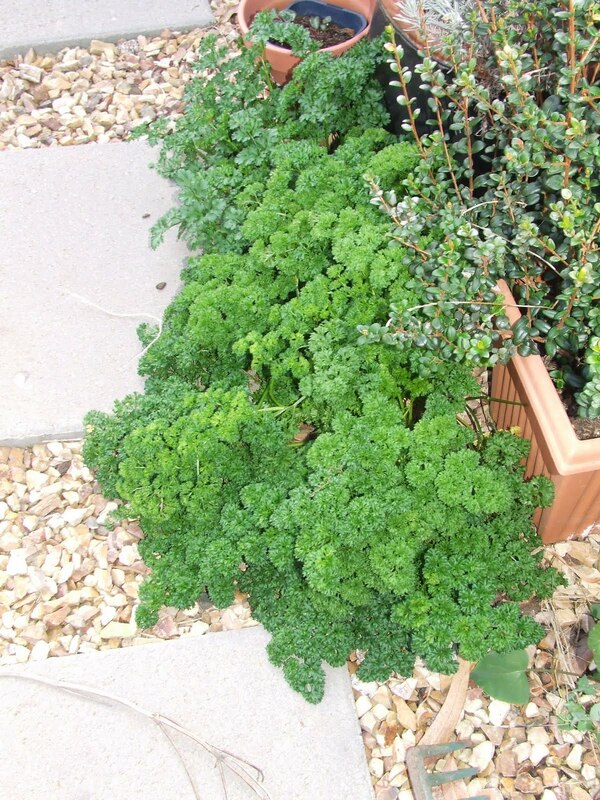 I used them in some yummy cream of celery soup that I whipped up for dinner. 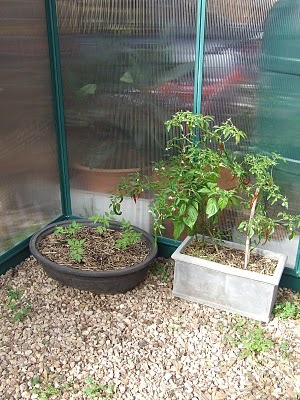 My tomatoes, chillies and capsicums are going well inside the greenhouse. Just warm enough for them to keep growing. I now have two shelving units in the greenhouse, and all the seeds sprout so fast! I will be planting out the brown onions, leeks and red onions this weekend into the remaining bed that has been dormant for a month. 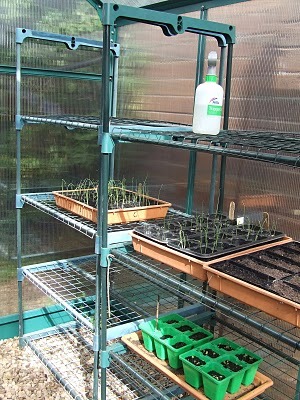 I also have broccoli, spinach and oregano sprouting and will soon be looking for a home! Kim wants me to plant more summer crops as an experiment. I will give it a go after the next New Moon. All work and no play makes Jack a dull boy. 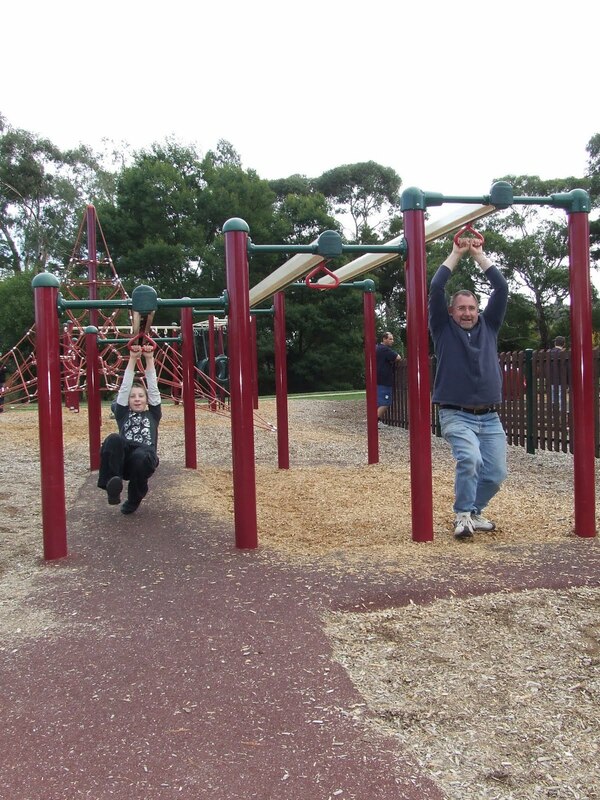 So in the afternoon, we drove up to Gisborne and visited the playground. Here is Ben and I having fun. 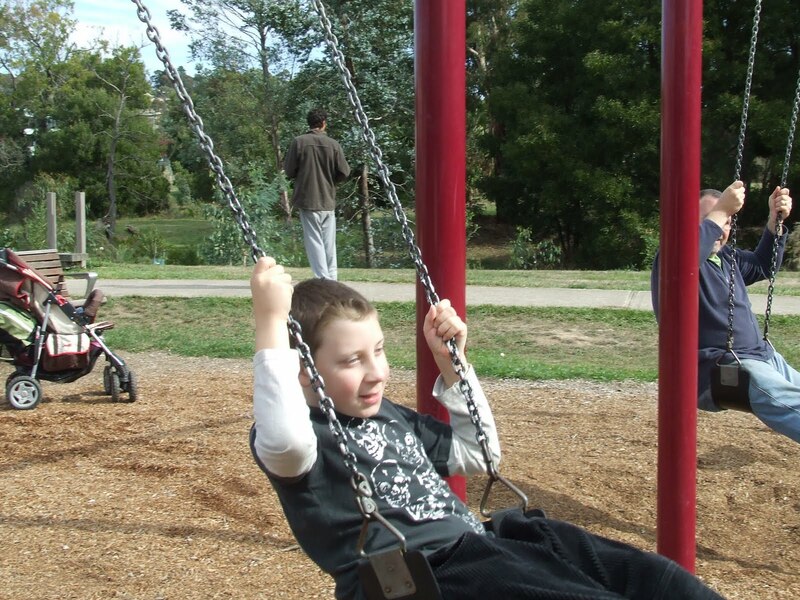 Then we had a go on the swings! I haven’t had so much fun in ages. 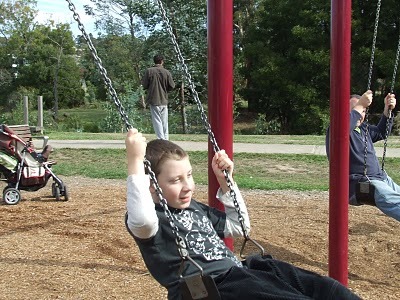 Playgrounds are very green, because they are a shared community resource. A bit like a library! Anyway, that was our Monday. It was sunny, productive and fun. Well, thanks Mr Rudd. Inaction is what you have given us in the form of a useless and delayed ETS. Thanks for putting climate change in the too hard basket. Last time your words of action was an election winner, so I dare say that your inaction will become and election looser!